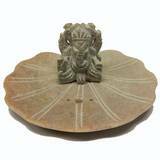 Please login as wholesaler to view price. Beautiful Wooden Tower burner for Incense Sticks and Cones, with intricate wood carving. 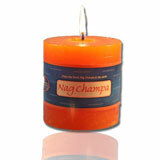 A great way to burn cones and incense without the mess. 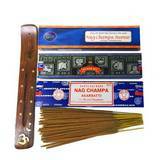 Each Burner includes 10 Sticks of Free Incense. 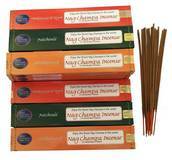 Nandi Imports offers the best selection of Nag Champa Products in the world! 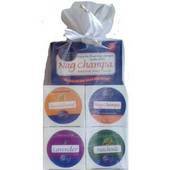 Our world famous Nag Champa Spa® Brand includes Nag Champa Incense, Candles and Oils, Nag Champa Soaps and Bath & Body Products. 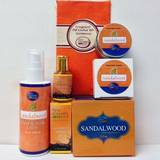 Buy directly from the original importer with 42 years experience. Save with our low prices and friendly service. Our customers have voted us #1 since 1974! 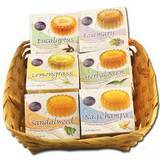 © Copyright 1996-2017, Nandi Imports LLC. All Rights Reserved. Images may not be reproduced or copied without permission.